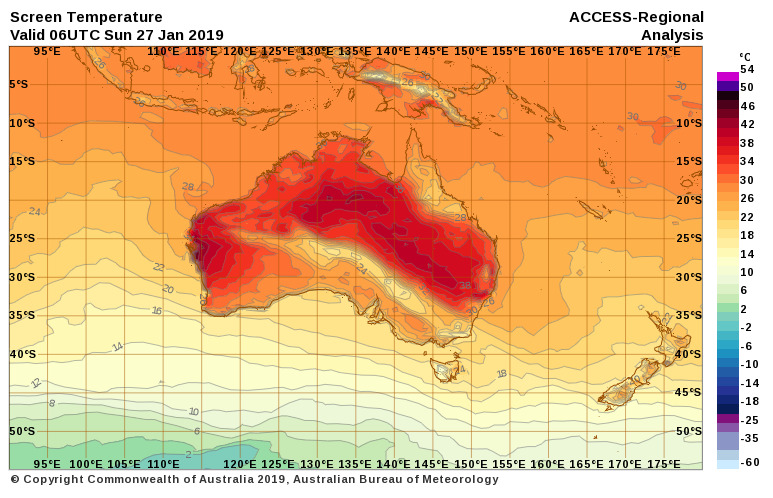 PAUWES CoP - Blog View - Australia Is Baking And Chicago Is Freezing - What Is Going On? 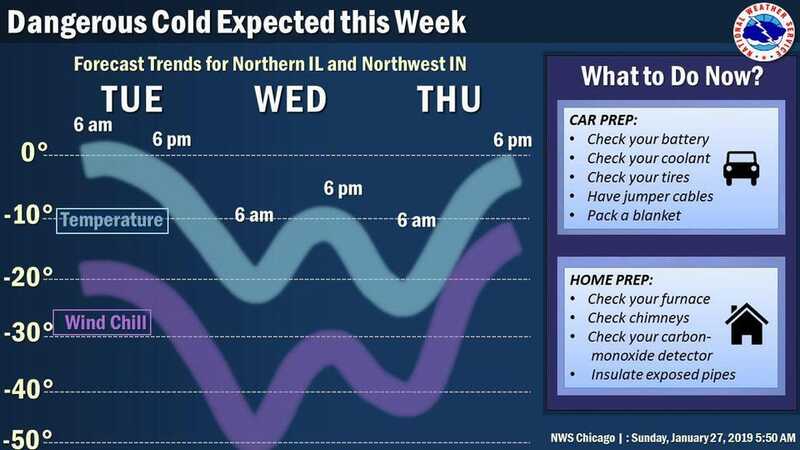 The National Weather Service-Chicago tweeted the graphic above warning of life-threatening cold and wind chills in the middle of the work week. What's the cause? It is winter. Because of increasingly infrequent extreme cold events, these events definitely get our attention as they should. Meteorologically speaking, after a low-pressure system brings wintry precipitation to the Midwest United States, a very cold Arctic high pressure system (1040 mb) system settles into the northern Plains by midweek. The low-pressure system is projected to be near the Great Lakes by Wednesday. Meteorology 101 tells us that the circulation around a High is clockwise in the Northern Hemisphere, and the circulation associate with low pressure is counterclockwise. This means the flow pattern and a difference in pressure (a gradient) will cause cold air to spill into the region along with gusty winds. If you look at the weather map for Wednesday (bel0w), you can see some of these features. To visualize the cold stream of air that will flow into the Midwest, simply follow those red lines of constant pressure (isobars). Dr. J. Marshall Shepherd, a leading international expert in weather and climate, was the 2013 President of American Meteorological Society (AMS) and is Director of the University of Georgia’s (UGA) Atmospheric Sciences Program. Dr. Shepherd is the Georgia Athletic Association Distinguished Professor and hosts The Weather Channel’s Weather Geeks Podcast, which can be found at all podcast outlets. 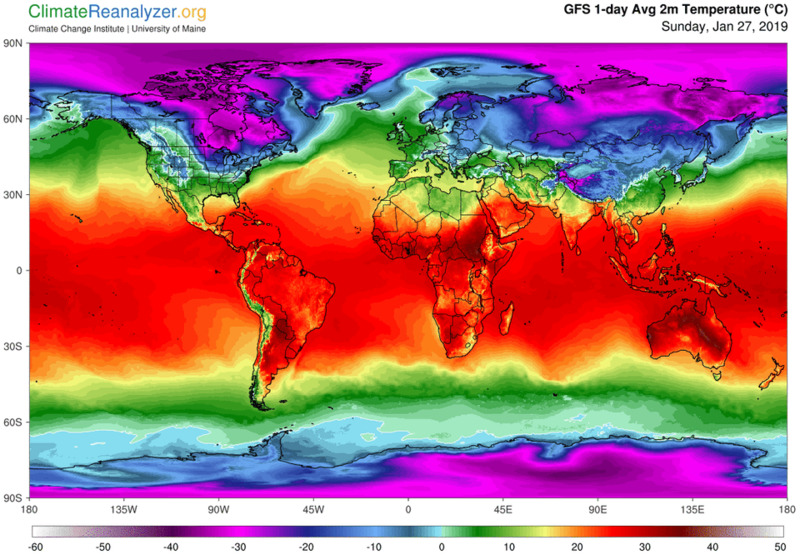 Prior to UGA, Dr. Shepherd spent 12 years as a Research Meteorologist at NASA-Goddard Space Flight Center and was Deputy Project Scientist for the Global Precipitation Measurement (GPM) mission. In 2004, he was honored at the White House with a prestigious PECASE award. He also has received major honors from the American Meteorological Society, American Association of Geographers, and the Captain Planet Foundation. Shepherd is frequently sought as an expert on weather and climate by major media outlets, the White House, and Congress. He has over 80 peer-reviewed scholarly publications and numerous editorials. Dr. Shepherd received his B.S., M.S. and PhD in physical meteorology from Florida State University.